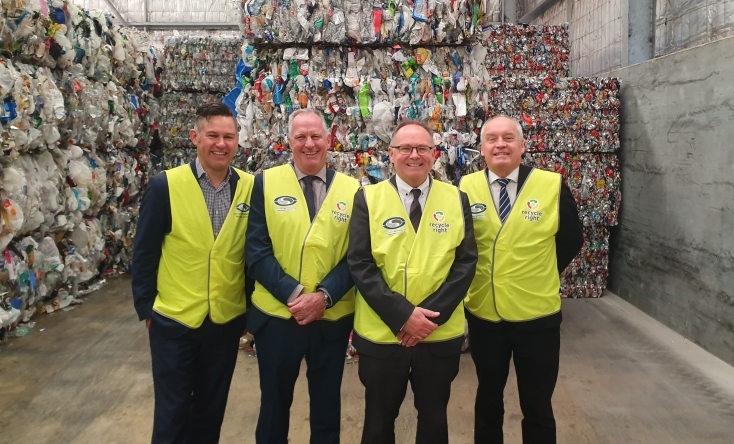 Fremantle Mayor Brad Pettitt, East Fremantle Mayor Jim O’Neill and Melville Mayor Russell Aubrey with Local Government Minister David Templeman at the Regional Resource Recovery Centre in Canning Vale. The City of Fremantle has ranked in the top five of Perth’s best recyclers in new data released by the state government. For the first time, waste and recycling data is available on the MyCouncil website to encourage improved waste management performance among local councils. Fremantle came in fifth on the list of the metro area’s best recyclers, with 54 per cent of household waste diverted from landfill. The overall diversion rate covers all household waste, including the materials collected from household bins and verge collections. The Town of East Fremantle topped the list with 61 per cent, while the City of Melville was third with 60 per cent. All three councils are members of the Southern Metropolitan Regional Council and send their waste to the state-of-the-art Regional Resource Recovery Centre in Canning Vale. Coming in the top five for diverting waste from landfill was a great result but it is just the start. As a One Planet council we have a target of achieving a 70 per cent community recycling rate by 2020, so while ranking in the top five is a terrific outcome there’s still room for improvement. Later this year we’ll be rolling out the new Food Organic Garden Organic (FOGO) three-bin waste management system, which will see food scraps and garden waste recycled to produce high quality compost. The state government’s Waste Avoidance and Resource Recovery Strategy 2030, launched earlier this year, has a target for all local governments in the Perth and Peel region to move to a three-bin FOGO system by 2025. As well as the introduction of FOGO the City of Fremantle has a range other initiatives to boost recycling rates, like the new Reuse Shop at the Fremantle Recycling Centre, recycling roadshows and subsidies for compost bins and worm farms. To find out more about FOGO and the City of Fremantle’s recycling services visit the Waste and Recycling page on the City’s website. This coming Tuesday evening at Ronnie Nights in Freo I will be talking to sustainable house legend Michael Mobbs and Josh Byrne & Associates, Mark Taylor about the role that buildings can play in addressing the climate challenge. Pop on down. It is free. The new brand highlights Fremantle’s vibrancy and culture, and also captured Fremantle’s proudly independent spirit. Fremantle is different and we make no apologies for that – it’s why people love it. 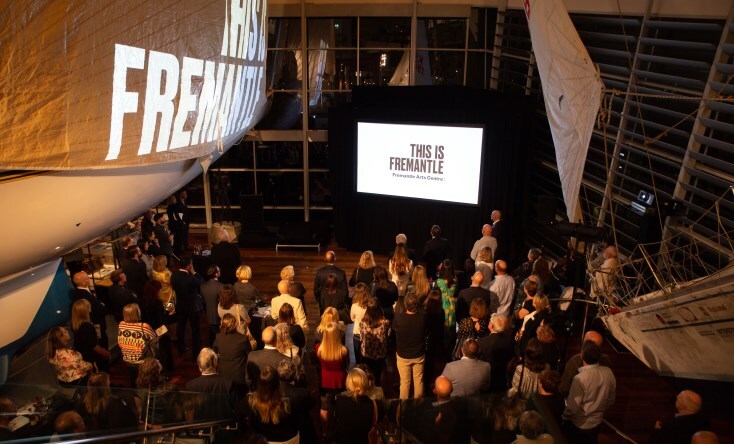 This new brand and the campaign to come is a reminder to everyone that Fremantle is an important tourism asset that attracts visitors from around the world, so it should be leveraged to market the whole state. Fremantle is in the middle of a period of unprecedented investment in new hotels, new residential and retail spaces and new hospitality offerings, so now is the right time to be launching a new brand and visual identity for the city. To watch the ‘This is Fremantle’ videos click here. Small businesses in Fremantle will have access to subsidised training, support and mentoring under a new pilot program being trialled by the City of Fremantle. “More often than not small business owners are so busy with the day-to-day running of the business that they don’t have time to think about things like updating their book keeping processes or refreshing their online and social media presence,” Mayor Pettitt said. “And yet, in a time where bricks and mortar retailers around the world are under pressure from online shopping, it can be these things that make or break a business. Scott McAllister from local kitchenware shop The Home Provedore said the business mentoring and support he’d received in the past had proven to be very valuable. “As a member of Freo Now I’ve had the opportunity to receive business coaching which I’ve found to be extremely helpful,” Mr McAllister said. Fremantle Chamber of Commerce Chief Executive Officer Danicia Quinlan said the chamber supported the program. “Providing the opportunity for small retailers and venues to leave the daily grind of their business in this challenging market and find new and creative ways to grow their business is so important,” Ms Quinlan said. “We really welcome this initiative by the City of Fremantle in providing this opportunity”. Business Foundations is a business support organisation based in Fremantle and has spent more than 25 years providing enterprise development services. After starting as a business incubator operating out of the Fremantle Prison, they now assist more than 4000 business people a year across Australia. Freo Now is an independent business advocacy group that also provides business coaching and training and promotes Fremantle small businesses. To apply for the Business Capacity Building Program visit the Business Capacity Building page on the City of Fremantle website. Fremantle Mayor Brad Pettitt, Business Foundations’ Phil Kemp, Chamber of Commerce CEO Danicia Quinlan, Wade Drummond from Leake St. Cafeteria, Scott McAllister from The Home Provedore and Chamber of Commerce President Ivan Dzeba discuss the new Business Capacity Building program. Construction on a major new Sport and Community Centre at Fremantle Park will commence this week. The signing of a lease by the City of Fremantle and the newly incorporated Fremantle Park Sport and Community Centre’s management committee on Friday has paved the way for construction on the new facility to start. The project will see the Fremantle Workers Social and Leisure Club, Fremantle Lawn Tennis Club and Fremantle Bowling Club all housed in a single, purpose-built facility. It will include the demolition of the existing tennis club and bowling club buildings, construction of the new centre, the installation of two new hardcourt tennis courts and a new synthetic bowling green. The chair of the Fremantle Park Sport and Community Centre management committee, Laurie Apps, said members of all three clubs were jubilant that building contractors would be on site from the beginning of April. “This project has been many years in the making, and a new sport and community centre, a new synthetic bowling green and new tennis courts will give a huge boost not only to the three clubs but also to the broader community,” Mr Apps said. “Fremantle Tennis Club, Fremantle Bowling Club and the Fremantle Workers Social and Leisure Club have been an integral part of Fremantle history for well over 100 years. The new centre will be a brilliant new community asset for Fremantle. The plans for the new building include three indoor function rooms, cafe, bar, commercial kitchen and an alfresco area and balcony overlooking the sporting areas. The cafe and alfresco area will be open to the public to enjoy, the indoor function rooms will be available for hire to community groups and for private functions, and the sporting facilities will also be available to the public through casual hire. A report commissioned by the council back in 2011 recommended the clubs come together to share a new facility, so it’s been a long road to get to this point. The approved budget for the project is $4.1 million, with $1.85 million coming from the City of Fremantle, $1.85 million from the Fremantle Workers Social and Leisure Club and $400,000 from the state government’s Community Sport and Recreation Facility Fund. The three clubs also contributed an additional $180,000 to fund items that were outside the scope of the budget. As a complementary project, the City of Fremantle will also build new public car park on Parry Street.